FPT Corporation is established on 13th September 2018. Year by year, FPT Corporation is growing significantly. Now, FPT Corporation has more than 30,000 Employee in 23 countries all over the world, including Myanmar. In Myanmar, FPT started in July 2013. 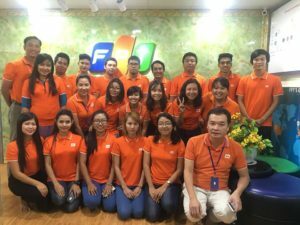 Now, FPT Myanmar has around 100 employee and more than 5 years experiences. 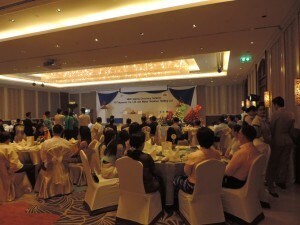 This is the time to celebrate 30 years Anniversary of FPT Corporation and 5 Years Anniversary of FPT Myanmar. The representatives of Departments of Health and hospitals highly appreciated new features of FPT.eHospital 2.0. 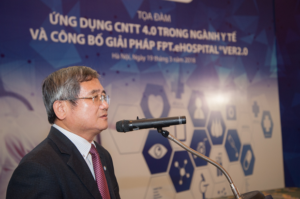 In order to develop smart hospitals, currently, the Vietnamese healthcare sector is seeking for technology solutions that can operate in many hospitals; allow process customization; be applied flexibly based on financial capability of each hospital; agree with IT rental services model; manage smart hospitals with many features applying 4.0 technology, etc. Having 20 years of experience in building IT systems for Healthcare sector, FPT officially launched the latest version of FPT.eHospital that meets these requirements on March 19th. 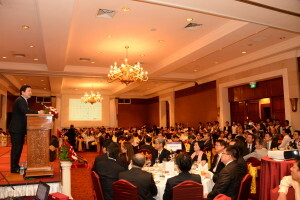 At this event, FPT and more than 100 leaders of Ministry of Health, Departments of Health and hospitals nationwide discussed the application of 4.0 technology to medical examination and treatment, and hospital management in order to figure out a suitable model and map out a route for smart hospitals in Vietnam. The application of the latest 4.0 technologies such as Artificial Intelligence, Big Data, Cloud, Mobility, Internet of Things, etc is considered a highlight of FPT.eHospital 2.0. These solutions allow hospital leaders to manage the operation with real-time data, digital signature integration, digital medical records, etc. They are expected to contribute to building paperless hospitals, optimizing medical examination and treatment process to make it faster and more accurate; minimizing time/volume of administrative procedures; improving capabilities of hospitals and supporting financial management, profit and loss management, etc. For doctors, the latest version of FPT.eHospital allows distant medical examination and treatment; reduces risks and errors via drug-drug interaction (DDI) and duplication warnings; provides virtual assistant and chatbot to help with daily work, such as patients seeking, managing medical records, etc. For patients, the latest version of FPT.eHospital with smart features helps reduce the time of medical examination booking (down from 4 minutes to below 1 minute, especially, if the patients have already had medical examination, it takes only 15 seconds); interact with hospitals through telephone or information portal, such as making appointment, checking medical records, paying hospital fees, utilizing virtual assistant, searching for information via chatbot, etc. “Over 20 years, FPT has always accompanied with Healthcare sector and provided technology solutions for more than 200 hospitals and medical agencies. 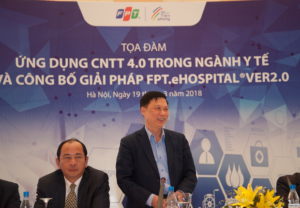 As a pioneer in developing and applying the latest technology with a deep understanding of the medical industry, FPT has been striving to provide technology solutions that are applicable for different hospital models, diversify the investment forms, such as renting, in order to improve capabilities of hospitals and help them get ready for the 4th Industrial Revolution,” stated FPT CEO Bui Quang Ngoc. Over the last few years, with the determination of leaders, Healthcare sector has been changing sharply by applying IT to the operation. The productivity of doctors and waiting time have been improved due to the synchronization of information, data and timely operation report. For example, FPT.eHospital allows Bach Mai hospital to receive 9000 patients per day, increasing by 15-20% and 15 times as many as a provincial hospital. It takes a patient 1 minute 40 seconds on average register for medical examination. 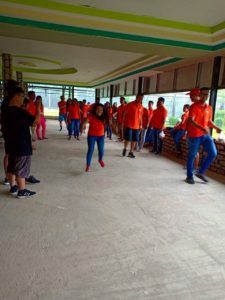 In addition, at General Hospital of Vinh city, due to FPT.eHospital system, the number of patients has increased from 300-500 people per day to 1,600-1,800 people in 2 hours. Therefore, the hospital also attracts patients from other districts and provinces. To promote the application of IT to medical examination and treatment, medical management, and develop smart hospitals, on December 29th, 2017, the Ministry of Health issued Circular 54/2017/TT-BYT on criteria for assessment of information technology application at health facilities. Accordingly, levels of IT application at health facilities are assessed based on 07 criteria groups. Any hospital that reaches the level of 6-7 (equipped with Hospital Information System (HIS), Laboratory Information System (LIS), Radiology Information System Picture - Archiving and Communication System (RIS-PACS), Electronic Medical Record, software allowing patients to look up, application of artificial intelligence ...) is considered smart hospital. At 20th Apr 2018 (Friday), FPT Myanmar staff pay homage to Buddha and keep 5 Sila in front of Invited monks. Then, monks share Buddha speech to the staff and praying PaYiek TaYarTaw (Damma) for preventing bad things to the company & staff and bring good lucks from Blessing Myanmar New Year. After praying, FPT Myanmar donated donation things to monks. 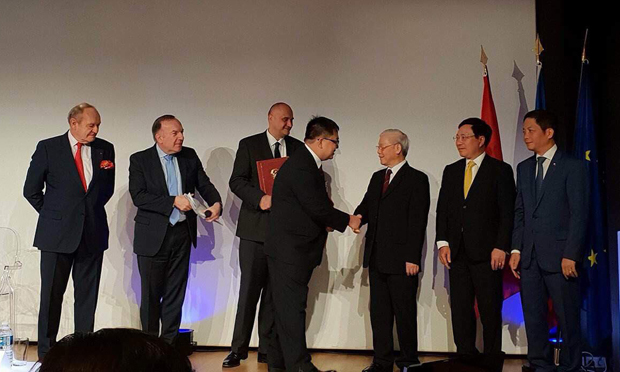 General Secretary Nguyen Phu Trong and Deputy Prime Minister and Minister of Foreign Affairs Pham Binh Minh and Minister of Industry and Trade Tran Tuan Anh witnessed the signing ceremony. Source: FFR. On March 27th, FPT Software and Airbus Corporation signed a contract to develop, deploy and build applications on the Skywise platform of the world’s leading aircraft manufacturer. The agreement was signed in Paris on the official visit of General Secretary of Vietnam, Mr. Nguyen Phu Trong in France. In accordance with the agreement, FPT Software will be involved in training Skywise for Airbus customers and organizations that use Skywise all over the world. The two parties will provide the third party with an application programming interface (API) so that they can develop applications on Skywise; transform and maintain applications on Skywise. At the same time, FPT also discussed cooperation in developing services and solutions for Airbus in several areas such as developing innovative applications, developing applications related to predictive maintenance; big data analytics and cloud computing, etc. According to Airbus’ Representative, Skywise is like the “heart of the aviation industry,” the core innovation in the strategy to digital transformation of Airbus, which is expected to be the game changer in the aviation industry. Mr. Hoang Nam Tien – Chairman of FPT Software reported opportunities for Vietnamese engineers to join the project with Airbus to General Secretary Nguyen Phu Trong. Source: FFR. FPT Software’s Chairman, Hoang Nam Tien, said that the deal with Airbus was the only contract that was “sold” to France by a Vietnamese representative among a series of agreements signed by General Secretary Nguyen Phu Trong. “More specifically, we do not sell physical products, we sell knowledge with the technology of Analytics of Big Data and Artificial Intelligence (AI),” Tien said. Skywise was built by Airbus to connect all of its products, including airplanes, helicopters, and other equipment, as well as free airline connections. Airbus also created systems for individual developers, global companies, and even competitors to connect, share data to improve the performance of the aviation industry. Skywise aims to be the industry’s leading open data platform that helps major aviation developers improve operational performance and business results. The products that will be customized for each organization will include scalable services (such as analytics, applications, and programming platforms – APIs) that Airbus, its customers, and suppliers can use to ensure continuity of data with the service chain. According to Hoang Nam Tien, the aircraft manufacturer requires very strict quality – the new agreement with Airbus is a “certificate” of quality for FPT Software to cooperate with any company in the world. In his official visit to Myanmar, on October 27th, Minister of Information and Communication of Vietnam H.E. 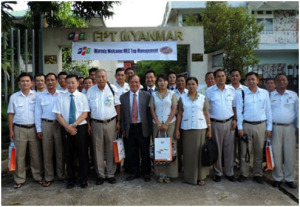 Truong Minh Tuan paid a visit to FPT Myanmar. In the meeting, Mr Doan Nhat Minh reported to Minister and the delegations about FPT’s businesses in Myanmar as well as its achievements in the past few years, such as the contract of 11 million US Dollars with Ministry of Planning and Finance of Myanmar. This is the largest e-government project of Myanmar to date. Minister H.E. Truong Minh Tuan also shared the plan of Myanmar government to develop ICT market, in which by 2020, 50% of the population will have access to internet. Minister also expressed his hope that FPT would grow further and build tight partnership with Vietnamese companies in Myanmar to develop together. FPT should also become a training center to transfer technology to Myanmar. FPT established its presence in Myanmar since 2013 to research and invest in system integration, e-government, banking, internet, education and training for Myanmar. FPT Myanmar was the first foreign company to obtain Network Facilities Service Individual license – NFSI license. On August 27th, 2017, FPT Myanmar held a seminar and discussion on choosing right education path for career development and gave an introduction about FPT Education. Ms. Hoang Thi Thu Huong, President of FPT University Global Office, was the speaker of the seminar. In an open and sharing atmosphere, Ms. Huong addressed topics of interest to young students, such as their purposes of study, strength and weaknesses of a Burmese student, new trends and jobs in IT,… With students bringing up their concerns in education and career path, Ms. Huong also discussed and shared to them about her own experience and how to set and achieve targets in your career. 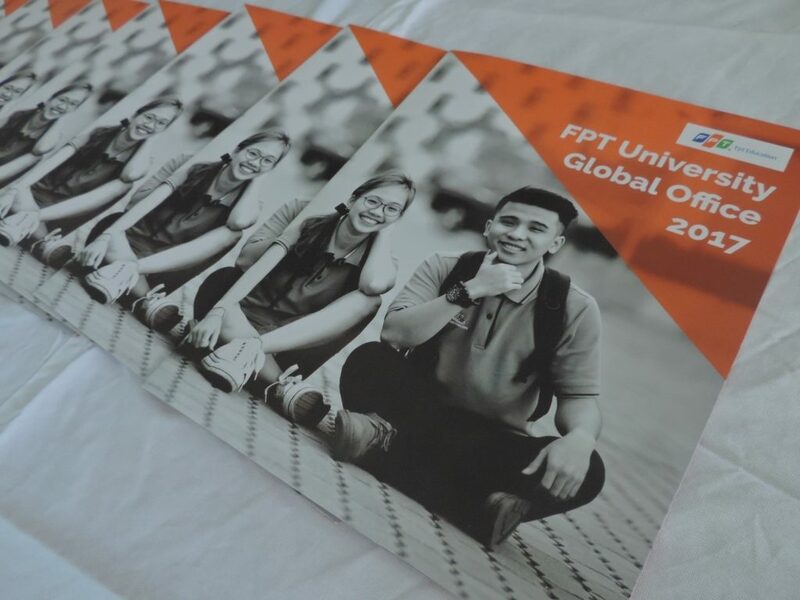 Being the top university in IT in Vietnam, FPT University has got 30,000 students of all levels from Vietnam and other countries and ranks 5* in QS global system. Beside providing international standard certification and training quality, FPT University ensures 100% job opportunities to its graduates in FPT Corporation and other international partner companies in the region. Scholarships for 2017 for Burmese students were also introduced in the seminar. Please send us a message or email to fptmyanmar@fpt.com.vn if you want to get newsletter about future’s educational seminars and workshops. 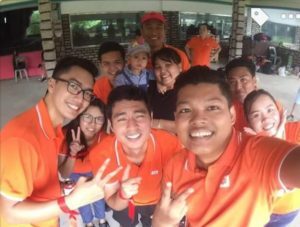 On September 3rd and 4th 2016, FPT Myanmar, together with its strategic partner Mobitel Communications, organized a trip to Pathein region to give donation and support to Myanmar flood victims in this area. FPT team visited 2 villages in Thar baung Township and managed to deliver 1 ton of rice, 1000 packages of food and other necessities to over 600 households from these villages, who were heavily affected by flood. This is one of the CSR activities that FPT Myanmar commits to doing every year. Last year FPT Myanmar also visited Aung Land Township of Magway region for donation in one of the worst heavily flooded year of Myanmar’s. 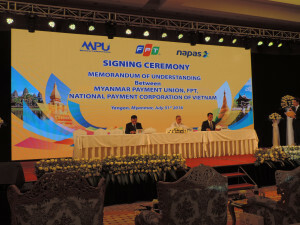 On the 31st of July 2016, the cooperation agreement to implement a national financial switching system for Myanmar was officially inked between Myanmar Payment Union (MPU), FPT – a leading technology corporation from Vietnam and the National Payment Corporation of Vietnam (NAPAS) at the Melia Hotel in Yangon. Present at the ceremony were Vice President of Myanmar H.E U Myint Swe, Deputy Prime Minister of Vietnam H.E Mr. Vu Duc Dam, Deputy Governor of the State Bank of Vietnam Mr. Nguyen Kim Anh and Governor of the Central Bank of Myanmar U Kyaw Kyaw Maung. Under the agreement, FPT acts as the investor for the implementation of software, hardware, operation and other technical support for the project. NAPAS, an FPT strategic partner, takes the role of co-investor. MPU invests in infrastructure and run the business operation in its existing market. The first phase of the project is expected to begin in early 2017. During this phase, MPU will get past experiences and best practices of NAPAS and FPT to ensure a successful transition to an advanced payment switching system. Although there are now over 2000 ATMs, nearly 6000 POS and about 1.8 million bank cards that have been issued in Myanmar, most of transactions are still being made in cash. The deployment of a national payment switching system will help Myanmar accelerate the process of evolving from its cash payment system to electronic payment solutions. The new payment system will be implemented for typical banking services such as ATM, POS, E-Commerce, other value added services for mobile devices, EMV and electronic billing. 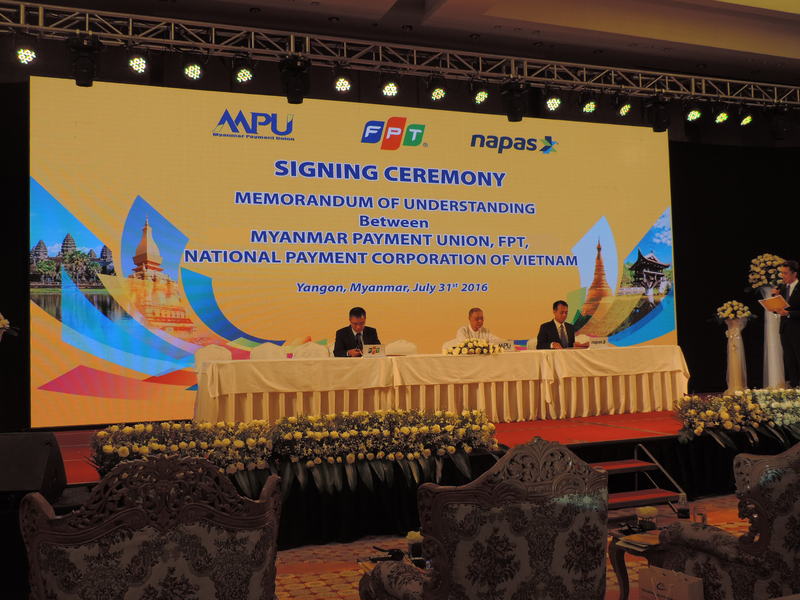 The contract to implement a national financial switching system for Myanmar was signed between MPU and FPT on the 4th of July 2016. The business model is revenue sharing and the system will be completed within a year and FPT will be a technical partner and investor for the following 10 years. The project is expected to be kicked off in August 2016 and put into official operation in early 2017. Yangon, Myanmar – July 28, 2016 – FPT Information System (FPT IS), together with ACE Data Systems, today announced the successful implementation of the SAP® Business All-in-One solution for United Paints Group (UPG), the leading paint manufacturer group in Myanmar. With the SAP Business All-in-One solution, UPG’s current organizational structure was integrated, and all departments were streamlined into a single process. UPG’s Board of Directors can now take a 360-degree view on stock data, direct expenses, cash flow and finances, giving the company a firm control and standardization in sales and purchasing. The provision of accurate data has also enabled UPG to reduce time for manual data collection and make timely decisions. In addition, the solution has helped UPG improve financial management, accelerate financial closing, increase accuracy of financial reporting, maintain superior cash management and improve management of internal controls including documentation, assessment, and testing. Leveraging the benefits of the SAP solution in the areas of material management, sales distribution, production planning, financial, controlling and business intelligence, UPG’s productivity increased with fewer errors. Implemented for the head office, sales branches and trading subsidiary in Myanmar, the integration solution eliminated manual data re-entry between different functional areas, saved time and reduced the risk of mistakes. “The successful implementation of SAP Business All-in-One will provide UPG with a better controlling tool for our operations. This tool not only helps UPG operate effectively now but will also bring more success in the future,” said Mr. U Aye Han, Managing Director, UPG. 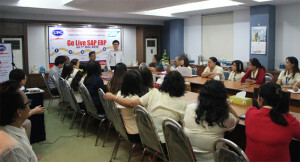 “SAP is delighted that FPT has successfully implemented the first ERP project in the Myanmar market. UPG is the leading paint manufacturer in Myanmar and is an instrumental company in the country’s socio-economic development boom. We are pleased that our software assists UPG run simple and increase competitiveness as the company embarks on an expansion journey,” commented Mr. Liher Urbizu Sierra, Managing Director, SAP Indochina. Myanmar is a leading emerging economy in Southeast Asia with many business opportunities for foreign companies. According to IMF, Myanmar is expected to increase its economy scale four times to US$200 billion in 2030. Currently, Myanmar enterprises have shown their interest in applying technological advancements on their manufacturing and administration process to improve work efficiency. UPG’s success in pioneering and applying technology into its business process will serve as an encouragement for other Myanmar enterprises to leverage go digital. This is an opportunity for FPT in particular and foreign IT companies in general to enlarge their market in the country. On December 24th 2015, FPT Myanmar gave sponsorship to University of Information Technology’s students in fresher welcome and academic rewards ceremony of this school as the encouragement for the young IT students to study hard. 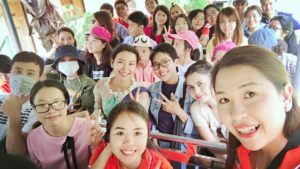 FPT Myanmar has sponsored UCSY students annually since 2012 with the amount of 2,000,000 kyats a year to 8 students who got highest results from 1st, 2nd, 3rd and 4th year of this university. UCSY opened Bahan Campus in 3rd December,2012 as the Center of Excellence (COE) with the aim of enhancing the development of ICT sector in Myanmar and nurturing the computer professionals and specialists. Later it was renamed as University of Information Technology (UIT). Nowadays in Myanmar, with the open market and high competition, Information Technology plays a very important role in every aspect of the economy for enterprises to gain more efficiency and better monitoring. 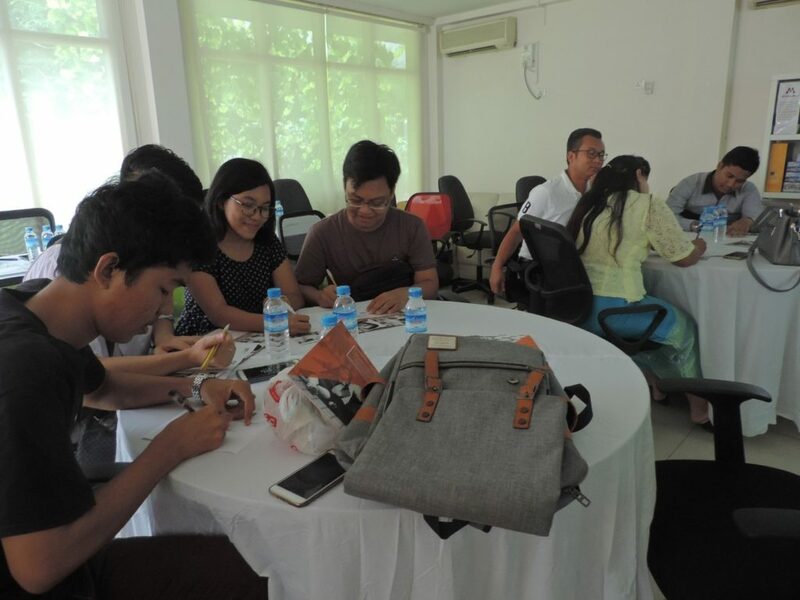 As a foreign ICT company, FPT tries to contribute to the development of ICT infrastructure in Myanmar by its smart solutions and education support. Since July 2015, FPT has opened Software Development Center with the hopes of bringing jobs to Myanmar IT engineers and students from big markets such as America, Japan, and Singapore. Many engineers have had opportunities to go to Japan, Vietnam for training and many are working abroad at this moment. On December 15th 2015, FPT Myanmar held a training workshop with the title “Essential Training Programs for Myanmar Enterprises”. The workshop attracted almost 60 attendants from Myanmar government offices, enterprises, banks as well as international and local partners of FPT in Myanmar. The workshop focuses on the importance of training in human resource development in general and in business development in particular. 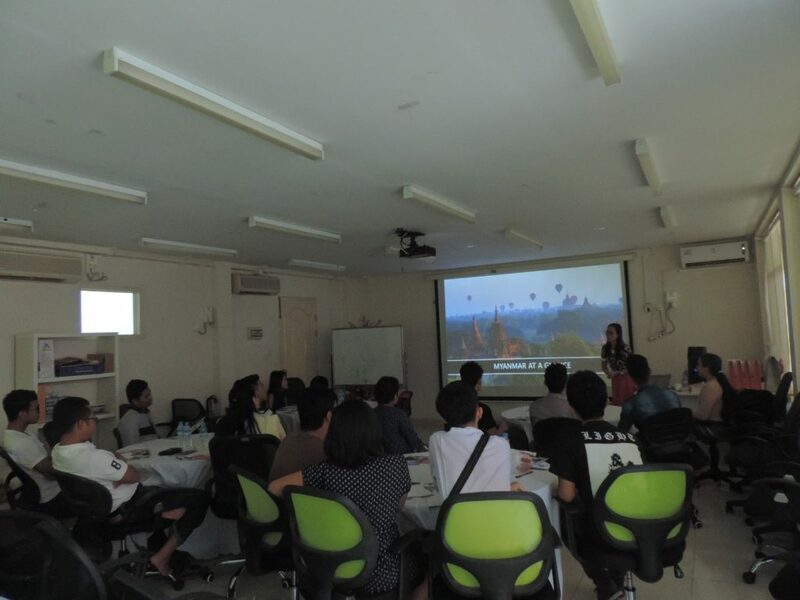 The training programs deployed by FPT Myanmar were also introduced in the workshop with their commitment of high quality and low cost by leveraging the experience and expertise from FPT Corporation and FPT University. Many of FPT Myanmar’s guests also shared their concern about the need of improving the proficiency of staff to boost the development of Myanmar, especially when the competition is getting more and more fierce. Dr. Myo Thet, Vice President of UMFCCI said that he highly appreciated FPT’s effort and concern about enhancing the staff’s capability and professional skills for enterprises in Myanmar. According to Mr. Doan Nhat Minh, the price for training courses for FPT Myanmar’s customers and partners in 2016 will be cost-based in order to boost the awareness of training in companies and enterprises and to contribute to the development of human resource in Myanmar. On Novermber 25th, Myanmar delegation led by Minister of Communications and Information Technology U Zayar Aung had a meeting at FPT Danang Building. FPT’s representatives included FPT Corporation’s Chairman Mr Truong Gia Binh, FPT’s Vice President Executive Mr Duong Dung Trieu, FPT Myanmar’s CEO Mr Doan Nhat Minh, FPT Telecom’s Deputy General Director and other FPT’s leaders from Central Vietnam. After visiting FPT Complex, FPT Software and other offices, Myanmar leaders and FPT had a discussion about FPT’s development strategies in Myanmar in general and FPT Telecom’s in particular. Since July 2015, FPT was granted the NFS(I) license in Myanmar- which FPT hopes to receive support from the government to expanse its business here. 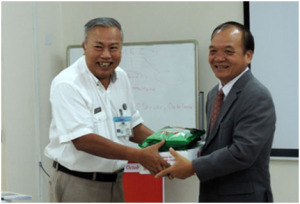 As the representative of FPT Corporation, Mr Duong Dung Trieu gave H.E. U Zayar Aung and delegation an introduction about FPT’s globalization roadmap and its recent achievements. CEO of FPT Telecom Region 4 Mr Nguyen The Quang also gave Myanmar delegation a brief introduction about FPT TV with modern functions and new technologies. With the newest version of FPT TV, there are three highlights including 1080p HD picture, Video on Demand and Time Shift TV. This product was designed and produced by FPT engineers and can be applied very easily in Myanmar when Myanmar is interested. “Myanmar is the opportunity for FPT because of the similarity to Vietnam in the past. FPT hopes to repeat its historic period in Myanmar- it’s our long term strategy.” affirmed FPT Chairman Mr Truong Gia Binh. He also said FPT could outpace its own history in Telecom as Myanmar has already had 3G and the internet infrastructure is developing very fast. On September 15th and 16th 2015, FPT participated in Myanmar Connect and Investment Forum in Nay Pyi Taw. FPT Myanmar is one of the sponsors for Myanmar Connect this year and Mr Duong Dung Trieu, FPT Myanmar’s Chairman was one of the speakers in the Panel Discussion in both events: Myanmar Connect and Investment Forum. Myanmar Connect 2015 is the event connecting the entire Myanmar telecoms community with leading companies from around the world. The event provides an insight into Myanmar’s current telecommunications market and will evaluates its potential growth trajectory and subsequent business opportunities. In the panel discussion, speakers debated and dissected the critical developments in the communications ecosystem with a focus on strategy, infrastructure and services driving both the industry and Myanmar’s socio-economic path. “We plan to transfer the job from Japan to Myanmar to create job for developers. The demand for outsourcing from Japan is unlimited. We invited many Japanese companies to visit Myanmar, but the positive response very low. Problem is the poor infrastructure include, traffic jam, poor high speed connection, quality of human capital. So If Myanmar want to integrate to worldwide supply chain, Myanmar need to upgrade infrastructure, improve the quality of human capital and administrative reform for services support citizen and enterprises.”, said Mr. Trieu. After the discussions, many local enterprises and partners in IT, Telecom, Banking and Finance approached FPT about future cooperation opportunities. FPT Myanmar also had a booth in the exhibition to showcase FPT’s telecommunication solutions and services to Myanmar companies. 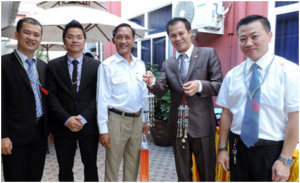 On Sunday September 13th 2015, FPT Myanmar held the Memorandum of Understanding ceremony between FPT Myanmar and Mahar Yetakhon at Chatrium hotel, Yangon. According to this MOU, FPT Myanmar and Mahar Yetakhon will research, develop and implement the ICT solutions for Electronic Road Pricing ERP system in Yangon and Mandalay, as well as apply other Smart Transport solutions to Myanmar. In presence were H.E Mr Pham Thanh Dung, Ambassador of Vietnam to Myanmar; H.E U Aung Khin, Yangon Regional Minister of Transportations; H.E U Nyan Tun Oo, Yangon Regional Minister of Electronic Power and Industry; and many other distinguished guests. “The MOU signing ceremony between FPT Myanmar and Mahar Yetakhon is one of our opportunities to cooperate with local companies, to build up the ICT infrastructure and government management in Myanmar. We believe that the cooperation between the two companies in these fields will support Myanmar government and administrative offices in Yangon and Mandalay to better manage the transportation system, through which enhance the living standard for Myanmar people.” Shared Mr. Duong Dung Trieu. Yangon, August 26, 2015 – Nearly 100 experts from FPT, SAP, ACE Data System and various Myanmar enterprises gathered at the conference to discuss the benefits and value of the SAP® Business All-in-One solution. Entitled “SAP Business All-in-One Software for Manufacturing Companies,” the conference focuses on how this integrated business management software for growing midsize businesses can help improve the competitive capabilities of local manufacturing companies and support their business development. Topics touching upon these and other best practices around utilization of this enterprise resource management (ERP) software will be discussed at the conference being held August 26 at the Novotel Hotel in Yangon. Best-practice discussion around regional and global customer implementations of ERP software were presented by both FPT and SAP, with suggested solutions and product roadmaps to help Myanmar manufacturing enterprises improve their competitiveness and optimize their resource management. Detailed case studies of implementations of SAP Business All-in-One for Myanmar manufacturing companies will also be examined, to derive insights from these customers’ challenges and lessons learned. According to World Bank figures, Myanmar’s economic growth rate is expected to reach 8.2% in 2016 and 8% in 2017. With its open-door policy, Myanmar has attracted increased investment from foreign enterprises, with foreign direct investment capital to the country reaching US$3.676 billion dollars in the first half of the 2015 fiscal year. The presence of foreign enterprises in Myanmar has motivated domestic enterprises, especially in the manufacturing sector, to improve their competitiveness and optimize their resource management. Today’s competitive market have forced enterprises to choose the most competitive software to help manage their business processes, in order to improve their business efficiency and achieve optimal growth rates and integration. SAP Business All-in-One has been touted as a highly suitable choice, as SAP is the market leader in enterprise application software worldwide, offering customized-solutions for 25 industries, including manufacturing. FPT Myanmar Chairman, Mr. Duong Dung Trieu, said that since its official establishment in 2013, FPT Myanmar has placed a strong focus on ERP with the desire to accompany local enterprises on the journey to economic development and competitiveness improvement, not only in domestic but also in foreign markets. “FPT has extensive experience in implementing solutions for customers inside and outside Vietnam to manage their accounting ,finance, human resources and production. We strongly believe that SAP Business All-in-One will benefit organizations in Myanmar, a country sharing a lot of similarities with Vietnam in terms of economy and society. 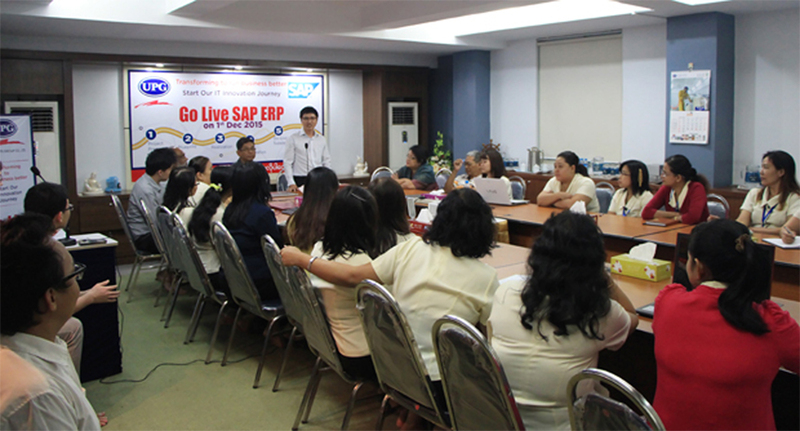 SAP Business All-in-One can help companies in Myanmar to enhance their competitiveness and management efficiency,” said Mr. Duong Dung Trieu. Since 2013, FPT has regularly held seminars on ERP to support local enterprises in improving their competitiveness and optimizing their resource management. On 19 August, FPT held the conference “ERP SAP B1 solution for Trading Companies” with ACE Data System at UMFCCI, Yangon. The conference attracted about forty audiences, including C-level executives from many big manufacturing companies in Myanmar and reporters from many media channels. Other distinguished guests in presence were U Myat Tun Kyaw -Director of Ministry of Commerce from Yangon Division, U Myo Thet -Vice President of UMFCCI, U Maw Than -Former Rector of Yangon University of Economics, Chairman and CEO of ACE Data Systems and representatives from FPT Myanmar and FPT Software. The conference addressed many topics such as difficulties in managing trading business, benefits of using ERP solutions for enterprises, experience in applying ERP in Myanmar. Many companies showed their interest in the solution and spent time discussing in the Q&A session about FPT’s experience in implementing ERP, the difference between FPT’s ERP SAP B1 and ERP solutions from other vendors, etc. This is the third year FPT organized ERP workshop in Myanmar. Having extensive experience in developing software for many enterprises in Vietnam and in the region to manage accounting, finances, human resources, manufacturing and administration, FPT strongly believes that ERP SAP B1 solution can be successfully applied in Myanmar- a country of many economic and social similarities, to help Myanmar companies, especially trading companies, increase their competitiveness and management efficiency. Joining FPT Myanmar in this society activity were member of FPT Myanmar, FPT's subsidiaries, strategic partner Mobitel and other guests and friends. FPT aims to support Myanmar flood victims by providing urgent care and life-saving aid and post-disaster recovery support for the families affected by the Myanmar floods in this region. 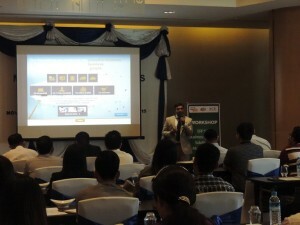 On 22.07.2015, FPT held DMS workshop at Novotel Yangon for Myanmar FMCG companies and MNCs to introduce and give demonstration about the DMS solution “eMobiz” designed by FPT Software. Over 50 representatives from 18 companies came to the event, many of them are leading FMCG companies in Myanmar. The workshop introduces the key outage‐cost‐influencing applications (fault location and network restoration, fault reporting, field crew management, and reconfiguration) of the distribution management system (DMS) and analyzes the benefits provided by them. The objective of the study is an evaluation of their influence on outage costs deriving from the adoption of automatic equipment in managing distribution systems. Mr. Myint Zaw from Ground Solution consulting company is one of the speakers of the workshop. His speech about the importance of distribution management attracted a lot of interest from the audiences. With many practical examples, he highlighted the potentials that enterprises can attain by having a good distribution management. He also emphasized the comparison between companies that win by branding and those that win by distribution. Big MNCs and local companies also asked many questions about eMobiz solution such as system synchronizing, data loss, inventories, etc, which showed their interest in FPT’s DMS solution. eMobiz solution has been implemented for over 10,000 salesmen and 1,100 distribution companies, 10 leading FMCG companies in 9 countries in Southeast Asia. They companies applying eMobiz includes Unilever, PepsiCo, Ajinomoto, BP Castrol, Kinhdo, among many others. FPT has been granted Network Facilities Service-Individual NFS(I) by Myanmar's Ministry of Communications and Information Technology. This license is valid and effective from 6th July 2015 and shall remain in effect for 15 years. With this license, FPT is allowed to implement nation-wide network infrastructure in Myanmar, creating a solid foundation for the development of internet services here. At the same time, FPT can provide fixed telecoms and internet services and other value added services such as IPTV, e-News, e-Commerce, among many others. “FPT would like to express our gratitude to the Ministry of Communications and Information Technology of Myanmar for trusting and granting us the NFS(I) license. With our experience and capability in providing telecoms services in markets such as Vietnam and Cambodia, FPT hopes to contribute to the development of telecoms infrastructure in Myanmar, enhancing the broadband internet service quality, creating favorable conditions for applying IT to government and enterprise management in Myanmar” said Mr. Duong Dung Trieu, FPT Myanmar’s Chairman. FPT is the leading ICT company in Southeast Asia and is a member of Asia - America Gateway Cable System (AAG). FPT Corporation is also investing in the submarine cable system Asia Pacific Gateway (APG), scheduled to be ready for service by the end of 2015, with the target of assuring and improving international bandwidth for Southeast Asian countries. At the moment, globalization is the most important strategy of FPT, in which Myanmar is considered as one of the priority markets that the corporation has committed to long-term invest. FPT expects to bring technological advancements to contribute to the development of Myanmar’s ICT industry as well as Myanmar’s economy. FPT Myanmar was established in July 2013, providing ICT solutions and services to the government and enterprise, software outsourcing, ICT training and telecoms services. 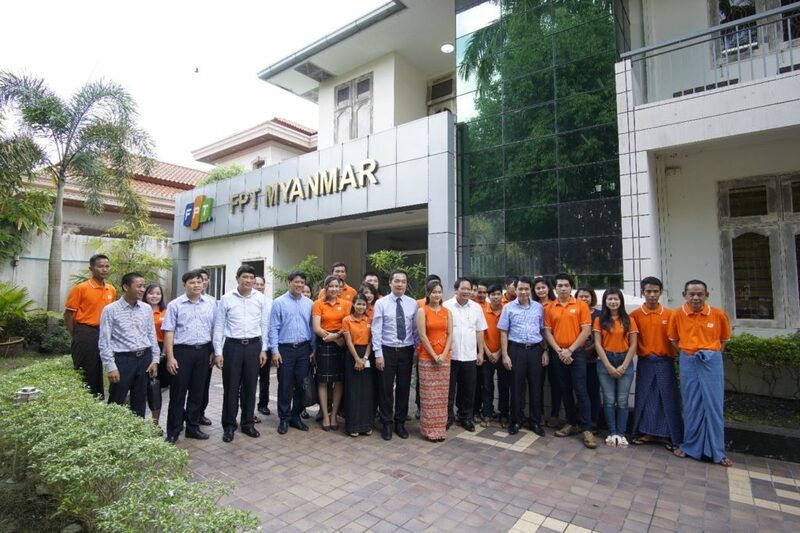 From June 20th, 2015, FPT Software has officially opened its Software Development Center in Yangon, marking the first steps of FPT Software to Myanmar’s market. The office is located at Diamond Tower on Pyay Road- the main road connecting Yangon International Airport with the city center, in the same area with many big Shopping centers, supermarkets and Novotel 5-star Hotel. A side of the FPT Software Myanmar's working area. With the area of 227 sq. meters, the new office has working space for over 60 people, including the working area, meeting room and reception area. Diamond Tower still has many areas available for rent, which is a very good condition for FPT Software to enlarge its office in the future. At the moment FPT Software Myanmar is home to 23 members, 16 of which are young local IT engineers. 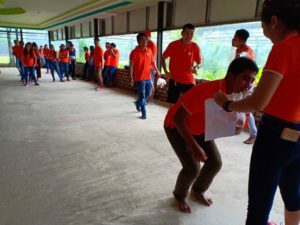 FPT Software plans to increase its human resource to the number of 100 by the end of this year, providing more and more jobs to young people in Myanmar. In order to reach this target, FPT Myanmar has participated and organized many events to attract and recruit IT engineers and IT students from universities, IT Centers and Job Fair. In three days 19th, 20th, 21st June 2015, FPT Myanmar participated in International Education and Career Fair for the purpose of recruiting about 100 senior and fresher developers for FPT's Software Development Center in Yangon, Myanmar. Over 120 IT students and engineers took the quick IT test of FPT for job opportunities. Many of them had high result and won attractive presents such as Headphone, USB, Mouse. These students/engineers will be the candidates for Full entry tests and Interviews for the suitable jobs at FPT's Software Development Center in Myanmar. 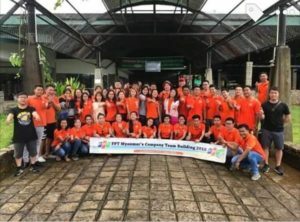 FPT Myanmar's Software Development Center expects to expand their team to 1,000 developers by 2010 and become one of the five largest software outsourcing destinations of FPT Software in Southest Asia. Richard, one of the Myanmar developers of FPT Software Myanmar, also a new teamleader, delivered his speech about FPT and opportunities to develop ICT career at our Software Development Center. On June 9th, 2015, FPT Myanmar Chairman and CEO warmly welcomed Myanmar Deputy Minister and senior officials to FPT Corporation. The visit of Dr. San Lwin, Deputy Minister, Ministry of President Office to FPT is scheduled in his official business trip to Vietnam. Accompanying him were senior officials from Myanmar Embassy to Vietnam and Ministry of Commerce of Myanmar. Earlier on May, 2015, Mizzima’s Chief Editor also paid a visit to FPT Online. FPT Myanmar’s Chairman and CEO have introduced about FPT Corporation and the advantages FPT has in Myanmar- the Golden Land. FPT has established its office in Myanmar since February 2013, hoping that FPT can experience again the excellent growth in Myanmar as in Vietnam in the period of 2003-2007. Myanmar believes in the growth target of FPT and wishes to contribute to the bilateral relationship between Myanmar and Vietnam. Myanmar’s representative highly appreciates the achievements that FPT has gained in the last 2 years in the promising land of Southeast Asia. On behalf of the Corporation, FPT Myanmar has established the relationship with the government, ministries, ICT associations and clients who are interested in applying ICT to their operation. According to FPT Myanmar’s Chairman Mr. Truong Dung Trieu, business activities of FPT in Myanmar is developing positively. In 2014, revenue from Myanmar is 13.5 million US dollars, in which Distribution contributed 10 million US dollars. 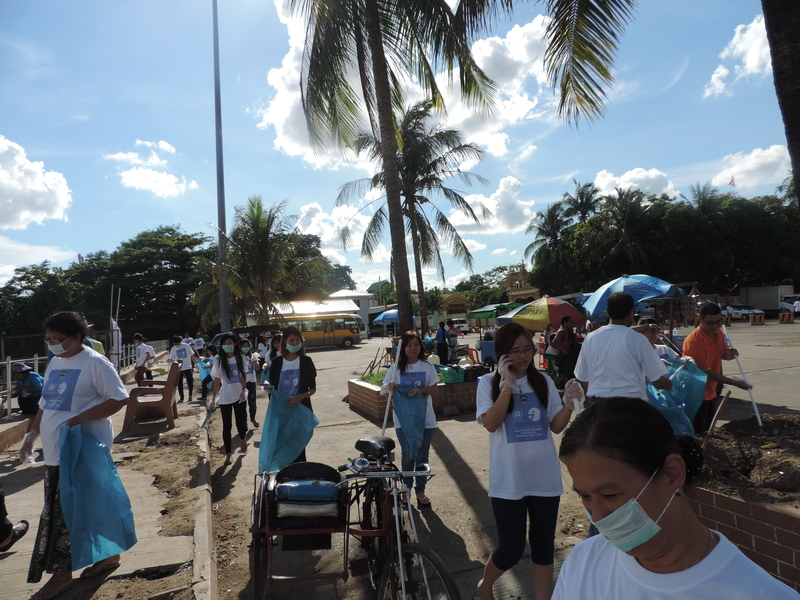 Last Friday June 5th, 2015, UPG and FPT Myanmar joined together in out-door environmental activities to mark International Environment Day. 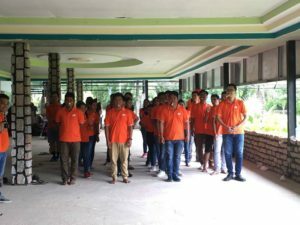 More than 100 employees and leaders from the two companies came to Botahtaung Jetty to collect garbage and clean up the area. 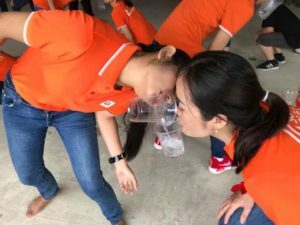 This is one of the corporate social responsibility (CSR) activities that FPT Myanmar has planned to take part in the year of 2015. 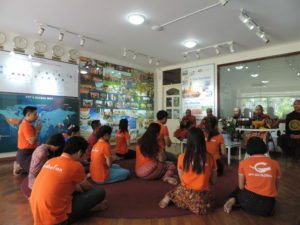 Events like such are held not only to raise the awareness of FPT Myanmar members of environmental and other social issues, but also to connect them better as a team. United Paints Group (UPG) has officially launched the ERP (Enterprise Resource Planning) project implemented by FPT Corporation since January 16th 2015 at Park Royal Hotel, Yangon. With this contract, UPG became the first enterprise in Myanmar to apply SAP All in one – a world leading ERP solution to its operation. This is also the first ERP project of FPT in Myanmar market. In his visit to FPT Myanmar office on March 17th, 2015, Mr. Nguyen Thien Nhan- Member of the Politburo, Chairman of Central Committee of Vietnam Fatherland Front highly appreciated the presence of FPT and other big Vietnamese enterpises in the most potential land in South East Asia. In the meeting, FPT Myanmar’s Chairman Mr Duong Dung Trieu reported about the company’s activities and accomplishments. According to him, in the last two years, FPT has learned about what’s happening in Myanmar and what Myanmar needs. FPT Corporation hopes to invest in the development of Internet infrastructure and education in Myanmar, bringing jobs to Myanmar youths. In this January, FPT Myanmar was officially introduced to partners and clients in the Golden land of Southeast Asia. Congratulating FPT for its accomplishments, Vietnam Fatherland Front’s Chairman expressed he would try to support FPT and other Vietnamese ICT enterprises here. During his visit, Vietnam Fatherland Front’s Chairman also required Vietnamese enterprises exchanging information with Myanmar’s side about the advantages and disadvantages in working in Myanmar so as to encourage economic partnership between the enterprise communities of the two countries. Vietnam Fatherland Front’s Chairman has paid many visits to FPT’s offices in and outside of Vietnam. In 2014, on Business Day October 13th, Mr. Nguyen Thien Nhan visited FPT Cau Giay and acknowledged the attributions of FPT Corporation to Vietnam’s ICT. Earlier on March, 2014, during his visit in Singapore, he and other leaders visited FPT Singapore (now FPT Asia Pacific) and highly appreciated FPT’s 7 years of building up its presence in the Lion Island. On Saturday January 17th, 2015, FPT Myanmar held Computer Grants Day for Thanlyin Sutaung Pyit Parahita Children Development School in Thanlyin Township, South Yangon Division. In this event FPT Myanmar donated 5 computers as well as food and drinks for almost 700 orphaned children living there. The company is also going to set up an Internet network this month to make a computer lab for the school. 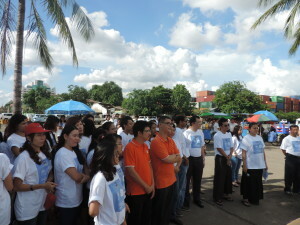 FPT Corporation’s CEO from Vietnam and other leaders also participated in this event. As information technology is getting more and more important nowadays, it’s clearly beneficial both educationally and socially for young students to know about how to use computer and how to deploy the internet. FPT Myanmar hopes to bring information technology to their education and give them the opportunity to gain more knowledge, see more of the world by being able to access the internet. Coming to Myanmar, a country with very similar IT infrastructure to that of Vietnam’s a few years ago, FPT Myanmar’s mission is to train more skillful IT students with international standards for Myanmar, thence developing the software industry and creating more job opportunities for Myanmar. FPT Corporation, the leading ICT company in the region, was established in 1988. During its 26 years of development, FPT has continuously strived to be a company guided by technological innovations, committed to the highest level of customer satisfaction, contributing to national prosperity and providing its employees with the most favorable work environment. FPT has the staff number of over 22,000 presenting in 19 countries in the world with the revenue of more than USD 1.6 billion. The Computer Grants Day is one of the side events of FPT Myanmar’s Grand Opening, which was held on January 16th, 2015 at Parkroyal hotel, Yangon. Deputy Minister of Communication & Information Technology of Myanmar H.E U Thaung Tin and Deputy Minister of Information and Communication of Vietnam H.E Mr. Nguyen Minh Hong, 13 co-founders of FPT Corporation and more than 200 guests who are representatives of ministries and sectors of Myanmar government, partners and clients from Myanmar, Japan, Vietnam and other countries were in attendance. United Paints Group (UPG) officially launched the ERP (enterprise resource planning) project implemented by FPT Corporation, an IT corporation from Vietnam on January 16th 2015 at Park Royal Hotel, Yangon. With this contract, UPG become first enterprise in Myanmar to apply SAP All in one – a world leading ERP solution to its operation. This is also the first ERP project of FPT in this market. According to the contract, FPT will offer SAP A1 for UPG with modules including production, purchasing, stock balances, financial accounting and reporting. The project is estimated to be completed within seven months. With SAP A1, UPG seeks to replace its current outdated management system with a more efficient tool to monitor its daily operation. The application of SAP A1 will help UPG manage its production, storage, purchasing activities, accounting; increase production efficiency and business performance; manage effectively cash flow; offer real-time data and reporting system for UPG managers. 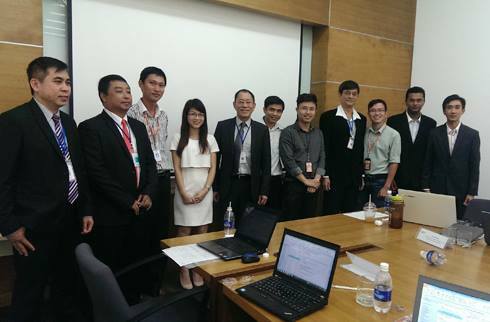 FPT, a leading ICT corporation from Vietnam, was chosen for the project after strict selection process by UPG. FPT has made it presence in 19 countries, among which, Myanmar is considered as one of the key markets. It is the company’s experience and SAP A1 outstanding benefits that brought UPG to the decision to select FPT IS for the contract. SAP A1 is highly suitable for UPG as SAP is the market-leading ERP software provider worldwide, offering customized-solutions for 25 industries such as chemical manufacturing. FPT IS is a SAP Gold partner with more than 15 years of experience deploying ERP for over 100 customers throughout Vietnam and Asia Pacific region. Recently, the number of Myanmar enterprises applying advanced IT solutions to their management and production process has increased positively. The big corporations like UPG pioneering in applying advanced technologies for administration system is a typical story, encouraging other Myanmar businesses to follow. The project will equip UPG with an advanced management tool to improve its productivity and operational efficiency. It is UPG commitment to bring satisfaction to its customers and contribute to the construction and development of the Myanmar. As the project contractor, FPT expressed its expectation to have more cooperation opportunities in ERP as well as other IT sectors in Myanmar. The goal of FPT is to become the market-leading company in Myanmar to provide consultancy and deploying services of SAP A1 and expected to reach US$ 3 million sales from this sector in 2015. 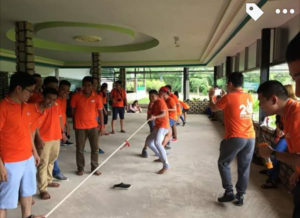 In order to turn this target into actual results, FPT considers searching for a team of experienced and professional SAP salespersons, consultants and engineers in Myanmar as the first step to take at the moment. In addition to ERP, FPT also seeks to provide other services in Myanmar market based on its successful projects in Vietnam. FPT is one of the first Vietnamese IT corporations to have presence in Myanmar. Since its official establishment in Myanmar in July 2013, FPT and its member companies have gained certain success in this market. “The year of 2015 marks 40 years of diplomatic relationship between Vietnam and Myanmar. 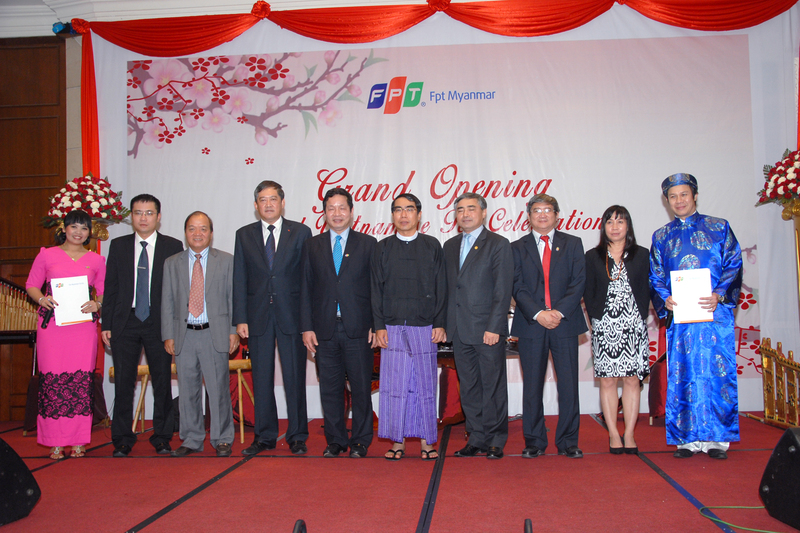 FPT Myanmar’s Grand Opening and Vietnamese Traditional New Year Celebration is the first event marking this commemoration”- Vietnamese Ambassador to Vietnam H.E Mr.Pham Thanh Dung shared in the event on January 16th at Park Royal Hotel. Deputy Minister of Communication & Information Technology of Myanmar H.E U Thaung Tin and Deputy Minister of Information and Communications of Vietnam H.E Mr. Nguyen Minh Hong were in attendance. In his speech, Deputy Minister of Communication & Information Technology of Vietnam also mentioned the co-operation agreement between the two countries in 12 areas including ICT and he really hoped that the establishment of FPT in Myanmar would help boost the development of ICT in this country and also the relationship between the two countries. FPT Corporation, the leading ICT company in the region, was established in 1988 and currently it has the staff number of over 22,000, presenting in 19 countries in the world with the revenue of more than USD 1.6 billion. Officially licensed to operate since July 2013, FPT Myanmar is eager to cooperate with Myanmar’s governmental agencies and computer associations to develop the software industry and create more job opportunities for Myanmar through software outsourcing, systems integration, IT training, enterprise management and consultancy services. 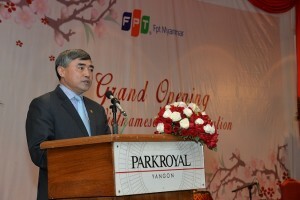 At the ceremony, FPT Corporation chairman Mr. Truong Gia Binh emphasized that FPT wants to contribute to the development of ICT industry in Myanmar and is eager to cooperate with Myanmar’s governmental agencies and computer associations to develop the software industry and create more job opportunities for Myanmar. On Saturday January 17th, following the Grand Opening Ceremony, FPT Myanmar also held a Donation Day for Thanlyin Sutaung Pyit Parahita Children Development School donating 5 computers as well as food and drinks for almost 700 orphaned children living there. 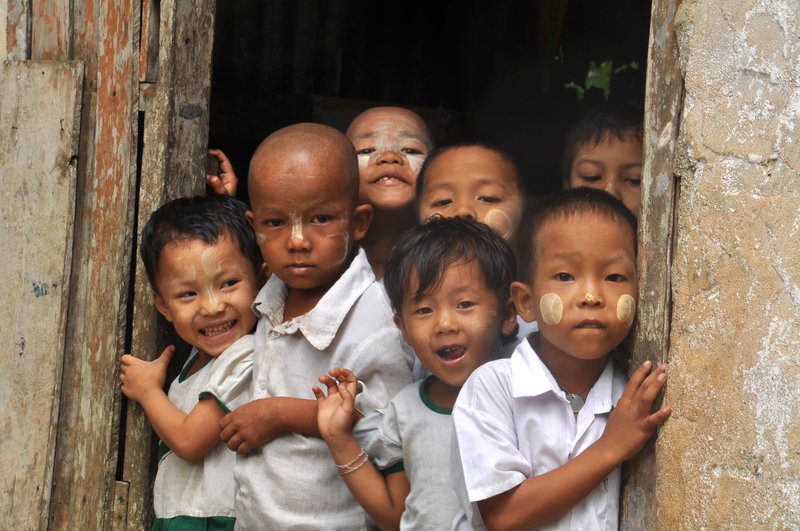 FPT Myanmar hopes to bring information technology to the children. HA NOI (VNS) — FPT Software has signed a contract to develop a distribution management system (eMobiz DMS Solid) for the largest whiskey distributor in Myanmar: IBTC- International Beverages Trading Company Limited, which holds a significant role in business management and sales productivity. eMobiz DMS Solid: This solution supports the management of every daily activity of the distributor such as: purchasing, selling, collecting debts, inventories, promotions, order management, delivery process, sales productivity, etc; eMobiz Sales: Application installed on salesperson’s tablet to collect orders and market information. IBTC also uses other modules such as: eMobiz Insight (DMS Central Reports)- sending all report to Head Quarter; eMobiz Merchandising- supporting all merchandising procedures: defining, registering, following and paying rewards; eMobiz Maps: supervising all salesperson’s outdoor activities including time and destinations. Established in 1997, IBTC Group is the largest Whiskey manufacturer and distributor in Myanmar. The DMS system implemented by FPT Software for IBTC holds important role in automating sales process, controlling distribution activities, optimizing inventory level, saving time together with managing the sales team for optimal productivity. According to FSU3’s representative, because Myanmar has opened its door and enterprises are putting efforts in modernizing the process of manufacturing, retailing and distribution. This September, FSU3 also won the DMS contract for Myanmar Mayson Industries (MMI)- the leading company in Fast Moving Consumer Goods industry. So far, eMobiz system has been implemented for more than 10,000 salespeople, 1,100 distributors in Vietnam, 10 leading FMCG companies, having users in 9 countries in ASEAN region. They are Unilever, Suntory Pepsico, Ajinomoto, Kinh Do, Trung Nguyen, HauGiang Pharmacy, BP Castrol and many others. Earlier, on 24/07, FPT Software’s Distribution Management System solution on handhelds (eMobiz Sales) is the only product that was rated 5-star among 70 IT products and services participating in 12th Sao Khue. FPT Myanmar Training Center has just successfully organized the International Executive Development Program- IEDP for top managers from Myanmar Economic Corporation and MEC subsidiaries. Having participated in IEDP, learners had the opportunity to learn from FPT lecturers’ experiences about the art of management, the process of managing and applying technologies in enterprises,… After the program, many top leaders expressed their desire to replace the traditional manual management system by modern computerized system in future. The success of this program is one of the significant stepping stones of Training center in conquering training market in Myanmar. Mr. Than Aung, Assistant General Manager, Ahlone International Port Terminal (MEC subsidiary company) expressed that the program not only helped solve the management issues in enterprises but also could help improve other aspects of his life. On the second day of the course, Mr. Min Nyo Saw, Deputy General Manager of Dagon Teamix Factory, brought MEC’s tea and milk products and Myanmar souvenirs for lecturers as acknowledgements. Training Center Director, Mr. Do Anh Tu stated that with the wish to modernize Information Technology for Myanmar in general and for MEC in particular, FPT Myanmar Training Center opened this course to enhance the awareness of the importance of applying IT to the enterprise management and the economy development. Leaders from both parties hope that the success of the program would set the first step towardsfuture cooperation between MEC and FPT in various areas, such as Banking, Telecommunication, ERP, etc. This is also one of the important steps for FPT Myanmar Training Center to conquer the training market in Myanmar. From the third quarter of 2014, FPT Myanmar Training Center has started training services by providing short and long courses about IT and Enterprise Management. Training Center’s targets are to create high quality IT human resource in Myanmar, and at the same time to advertise widely the image of FPT Corporation. MEC is the largest economic corporation in Myanmar with nearly 40 subsidiary companies and more than 10,000 staffs. Established in 1997, MEC started with heavy industrial products like cement, rubber, steel,… serving the military force. Nowadays, together with the development and economic integration of Myanmar, MEC has enlarged their business to areas such as Banking, Telecommunication, Insurance, Beverage production, etc. MEC contributes about 6 billion dollars for Myanmar economy, equivalent to 10% of the country’s GDP.